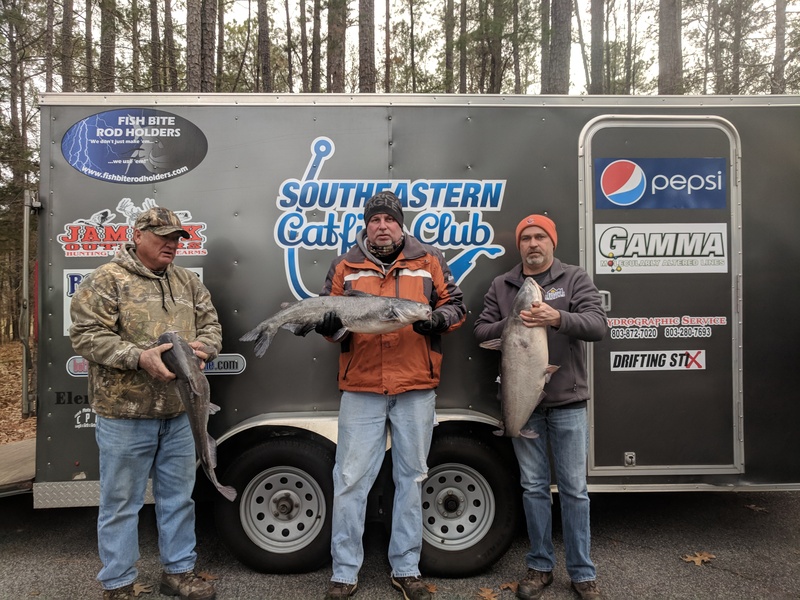 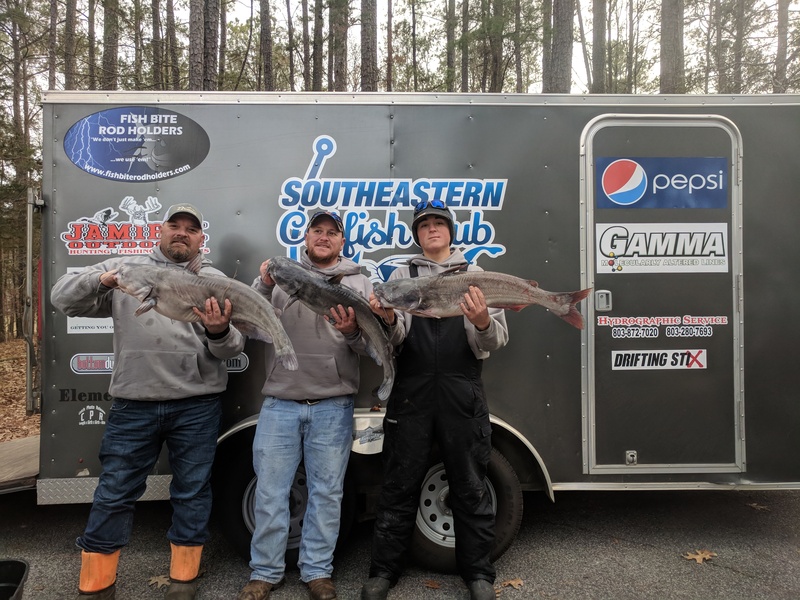 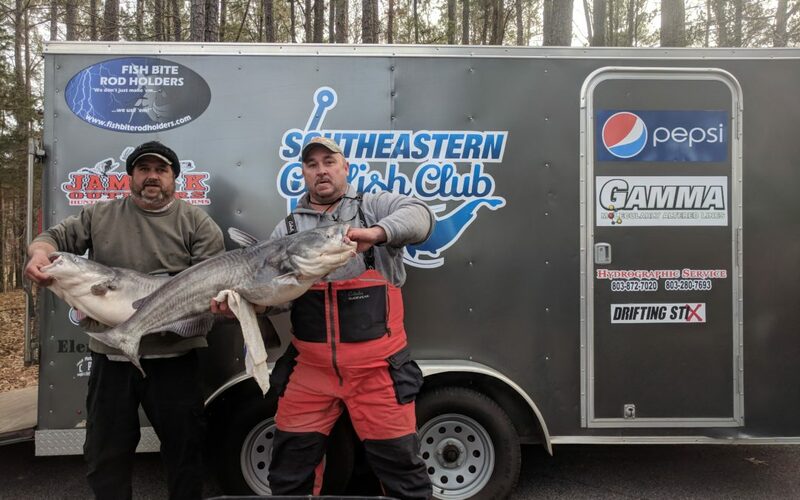 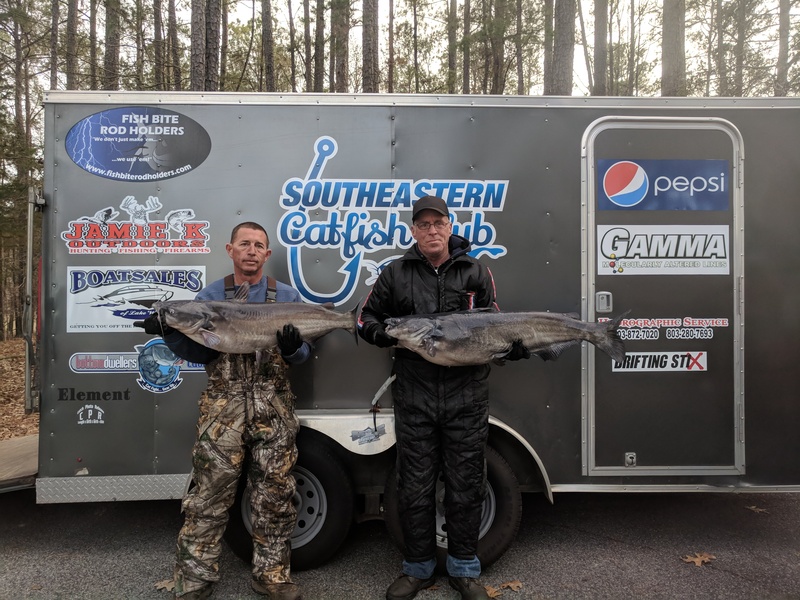 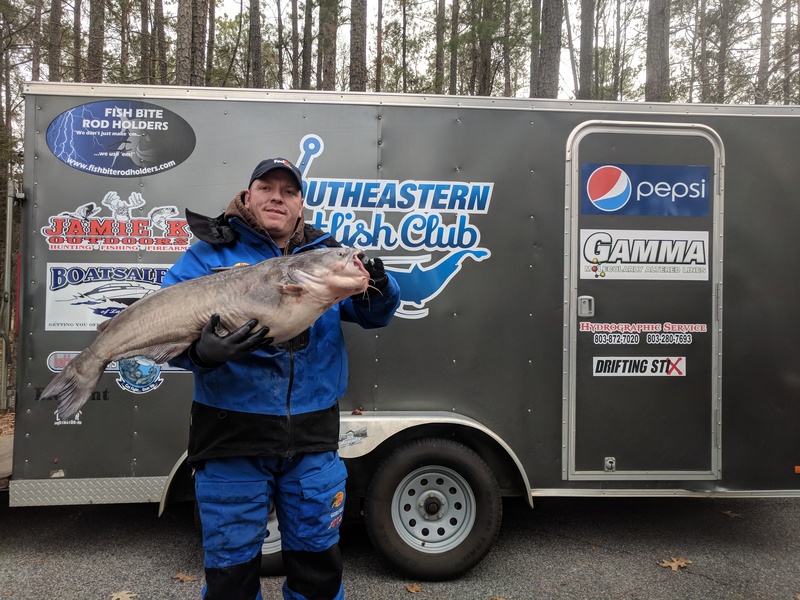 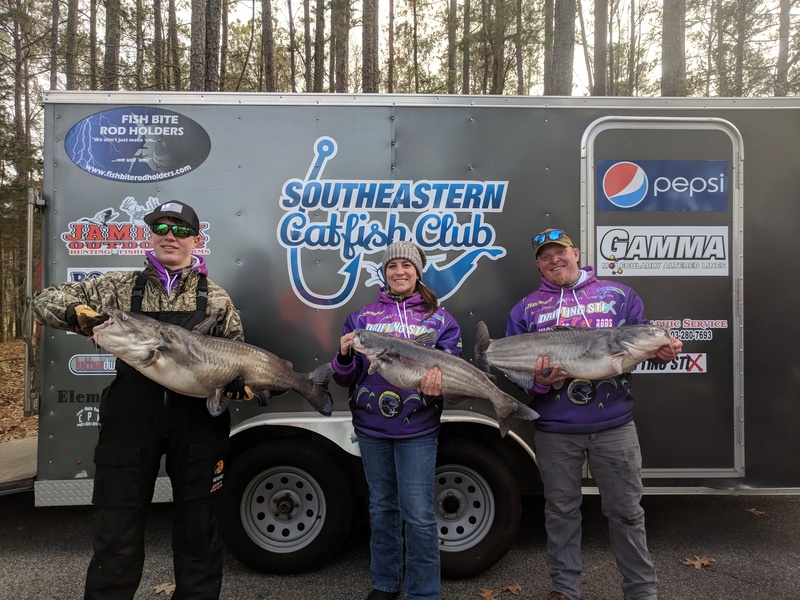 The Southeastern Catfish Club hosted its 6th tournament of the 2017-2018 season on Lake Wateree Saturday, February 3rd. 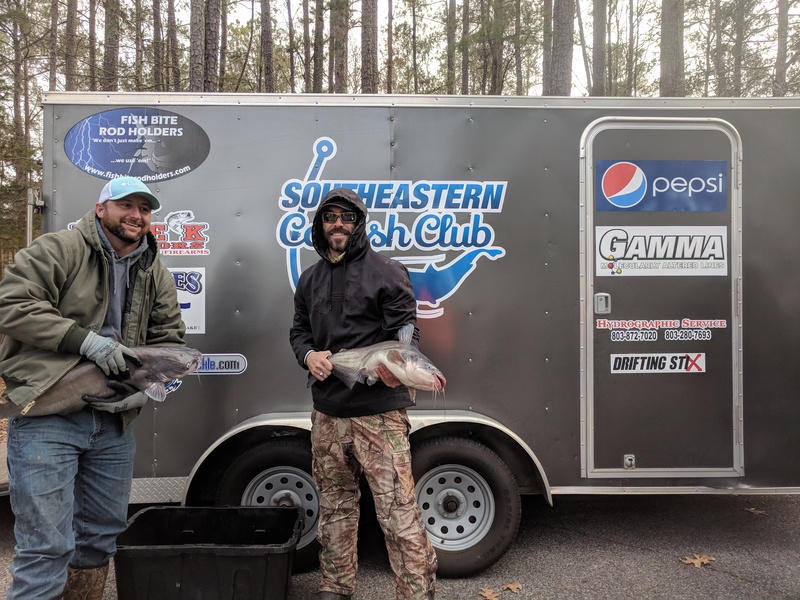 Tournament registration opened at 5am sharp, and temperatures were in the low 20s as folks huddled around the heater by the sign-in table. 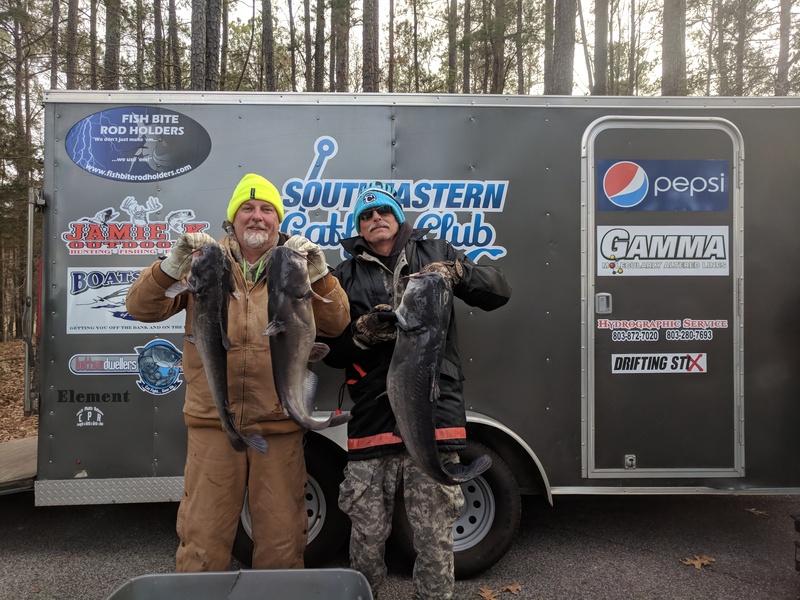 Luckily, we had coffee brewing courtesy of the kind folks at the state park. 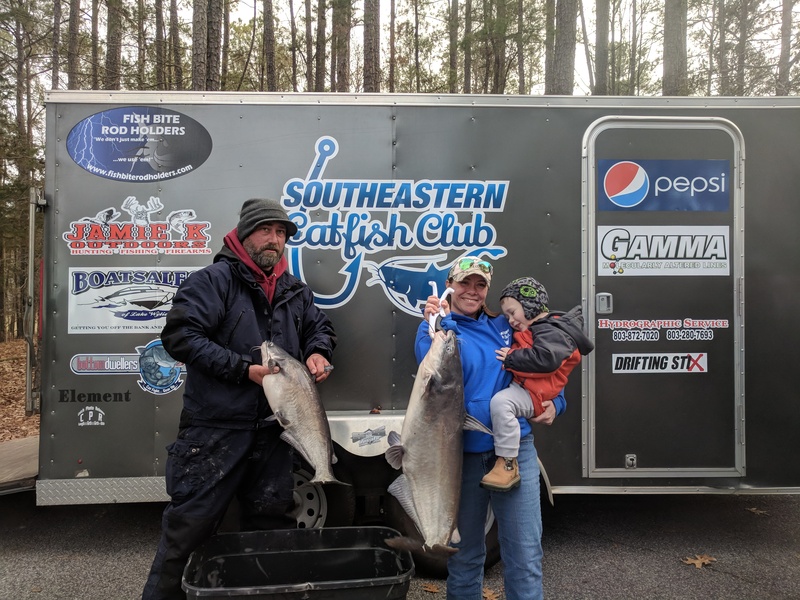 Wendy, you’re the best! 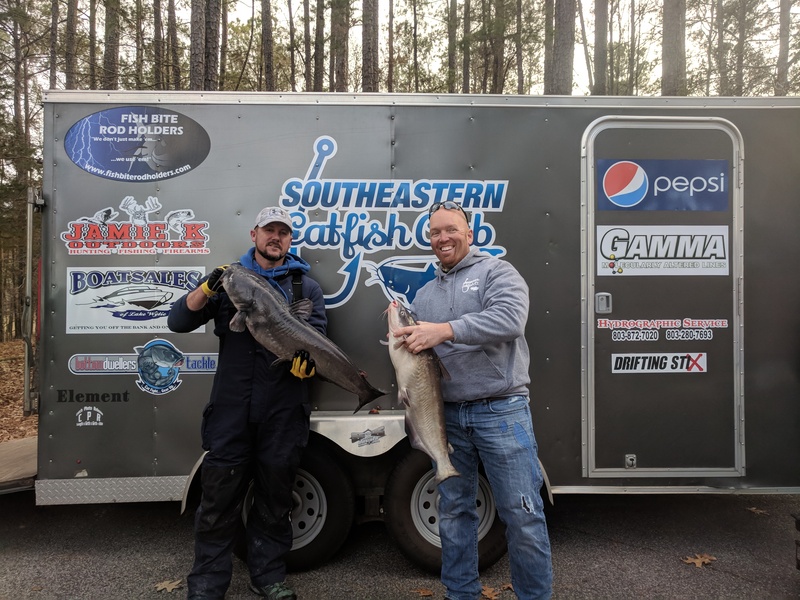 In the end, 49 teams were ready to cash in again on the winter bite and compete for the $4,800 purse! 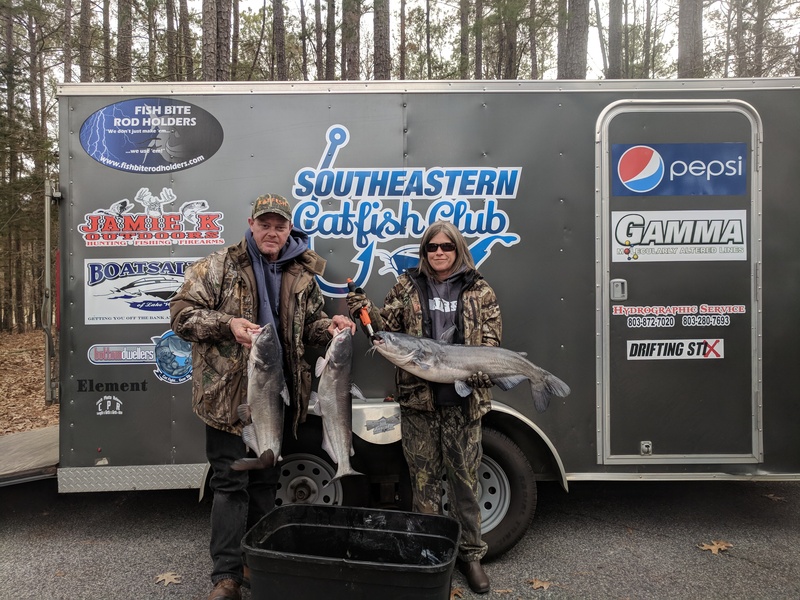 Rains throughout the week made most of the lake chocolate soup, and surface water temps still hovered in the high 40s. 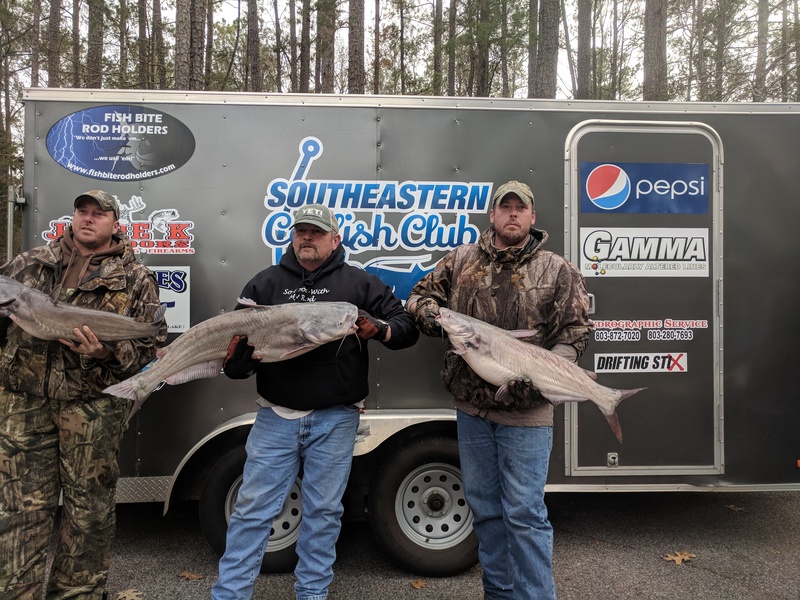 Teams that pre-fished over the last week reported catching fish all over the lake, so half the teams went north and the other half went south at blast-off. 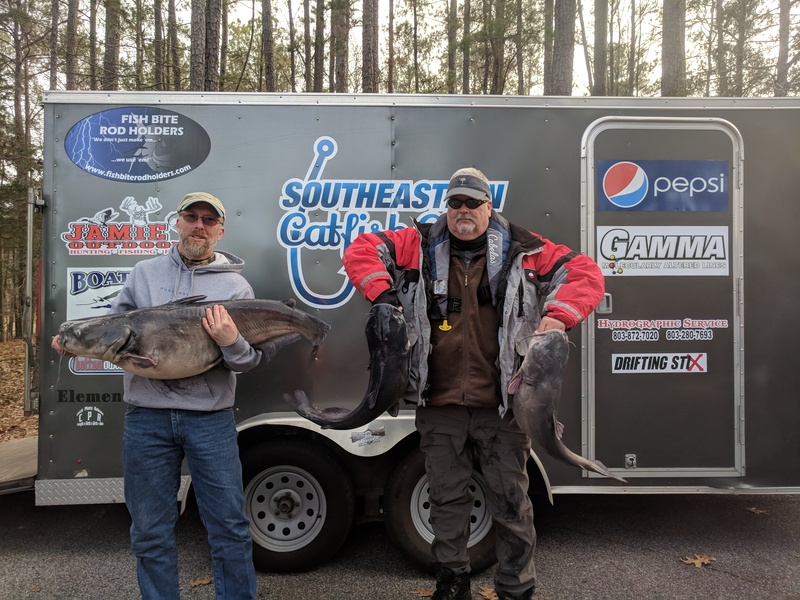 Reports were that the bite was great, and many team brought excellent stringers to the weigh-in. 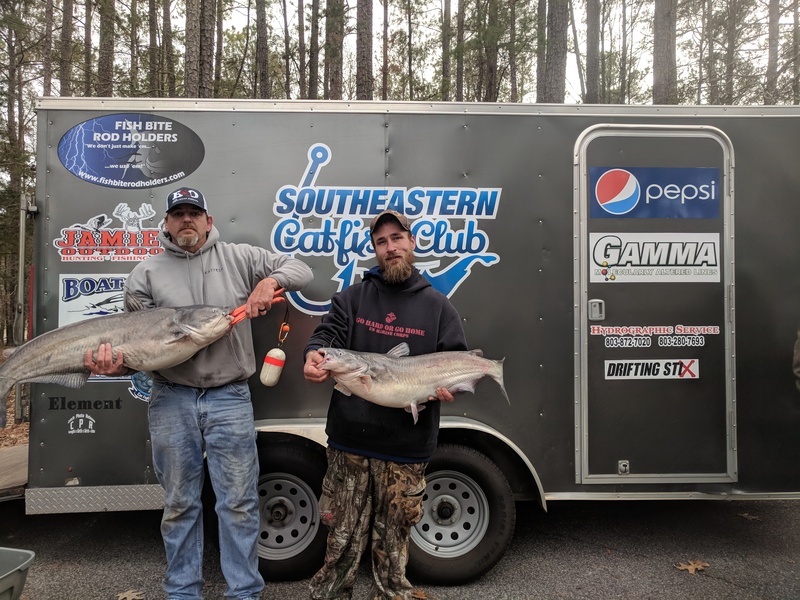 In the end, Steve Whitley and Shane Owenby got the job done again and took home their first win of the season with a 86.49lb stringer. 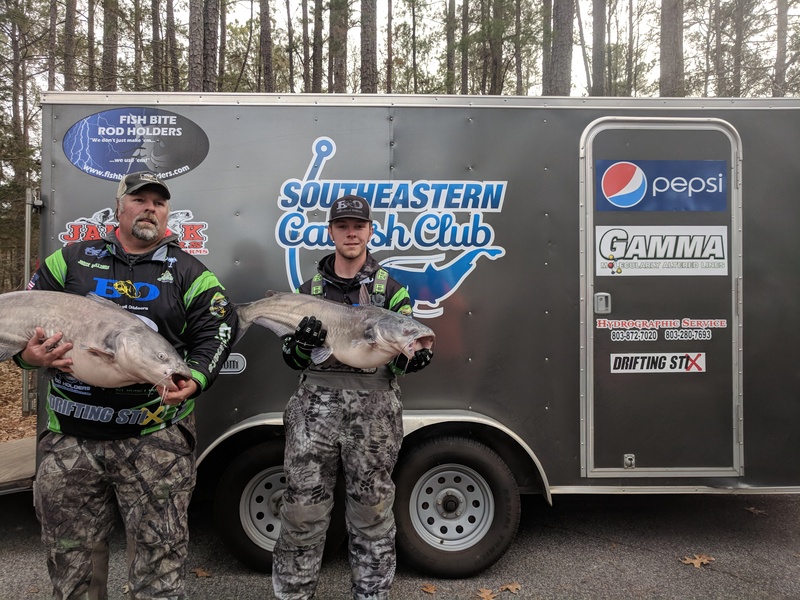 Their 1st place placed finish earned them a whopping $2,380! 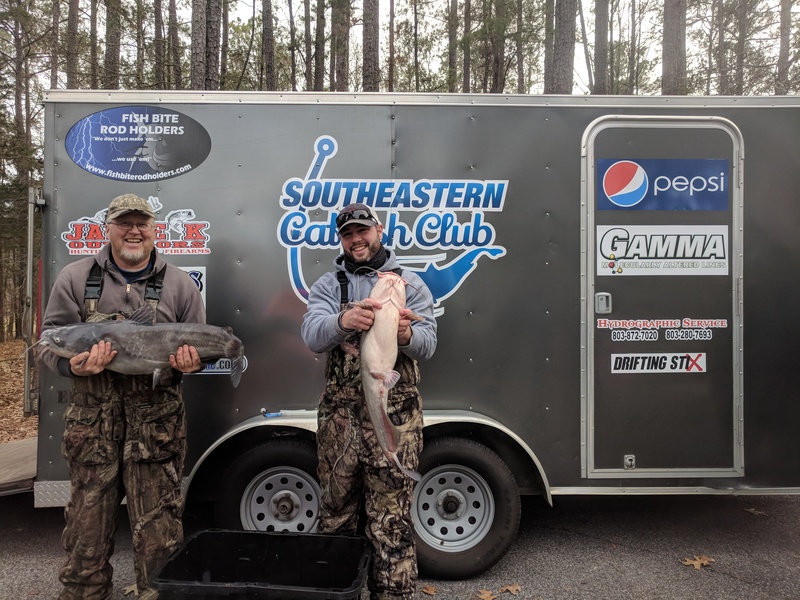 Less than a pound behind, Jamie and Blake Williams of Team Backland Outdoors finished in 2nd place with a total weight of 85.90lbs and collected $1,180. 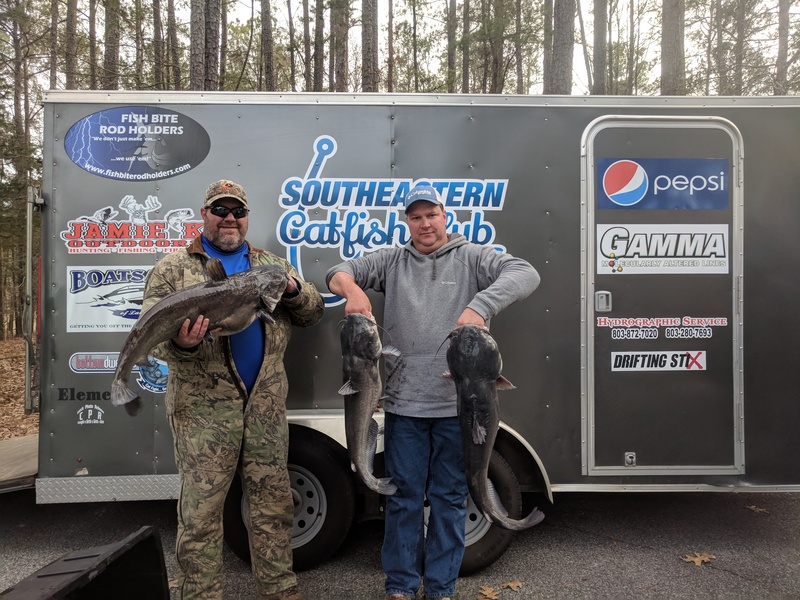 Richard Warskow and Chris Lunsford of Team Keepin’ It Reel finished in 3rd place with a 79.91lb stringer and collected $400. 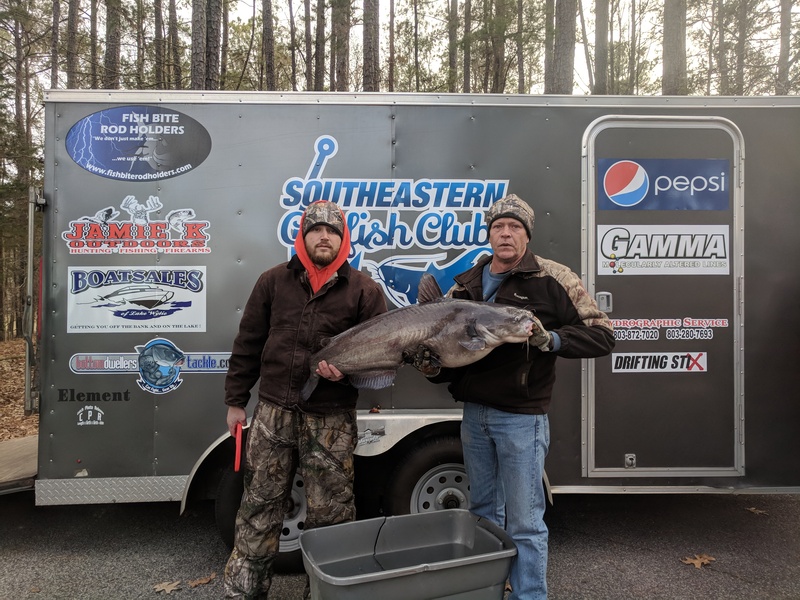 They also had 2nd Big Fish of the tournament with a 40.13lb blue and collected another $260 bringing their total winnings to $660. 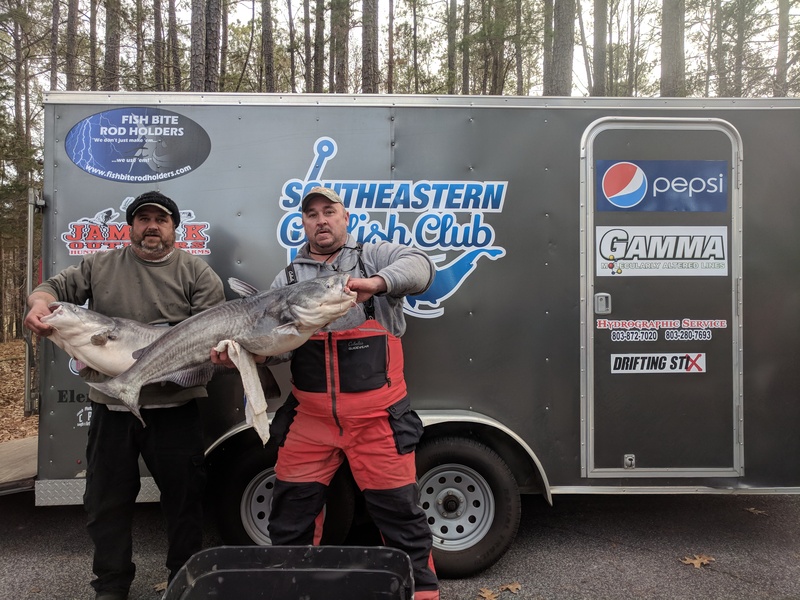 Lindsay Bigham and Rob McHenry of Team Troller had Big Fish of the tournament with a 41.02lb bruiser blue and collected $600. 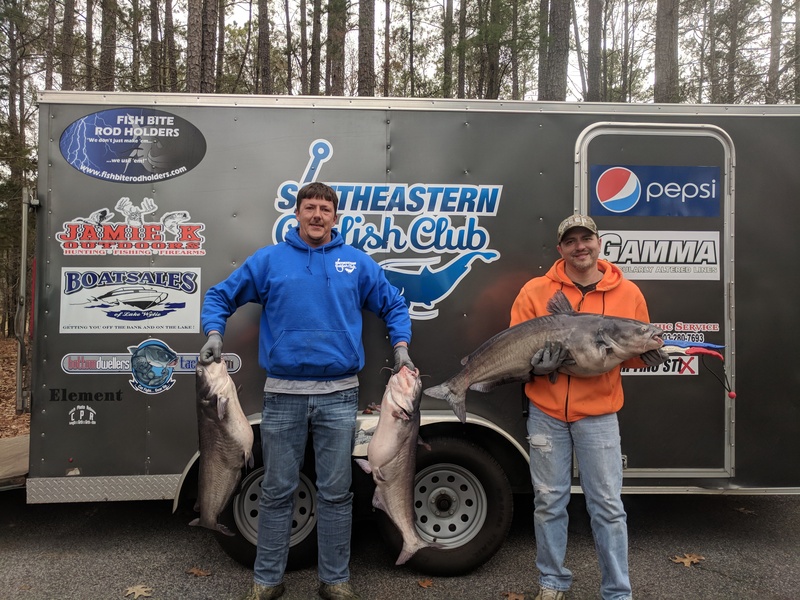 Congratulations to Steve Whitley and Shane Owenby of Team 2nd String for adding a win to their impressive run this season! 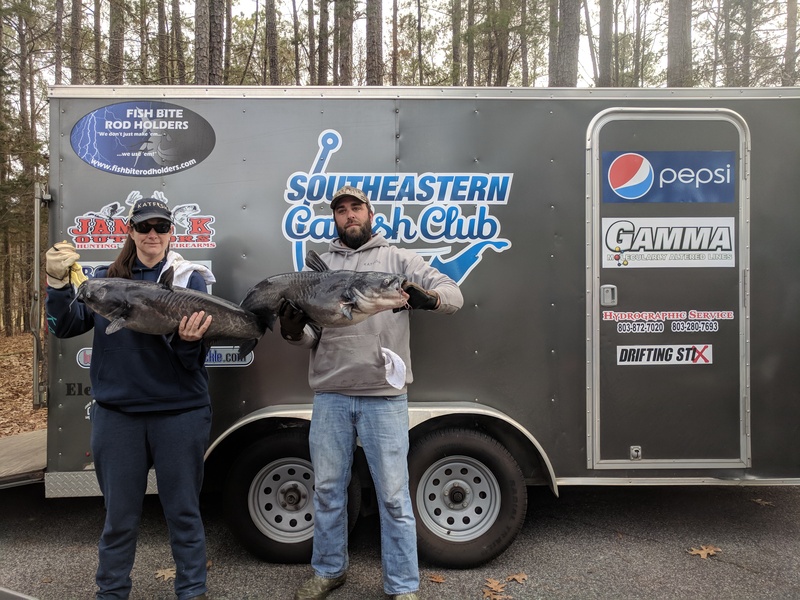 They continue to stretch their lead on the field. 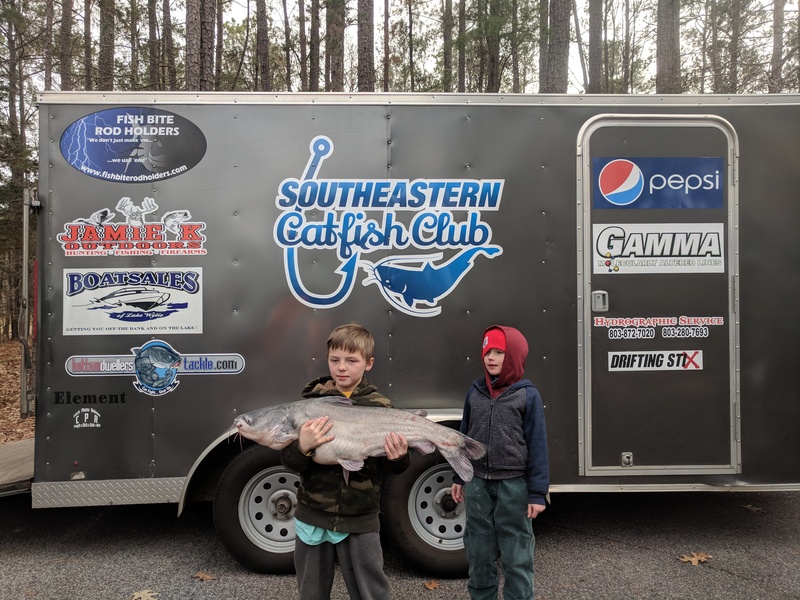 We look forward to seeing everyone next month back on Fishing Creek on March 3rd!